Today, Leica jumps into the future with the Leica T, a brand new camera and lens system from the storied maker of luxury cameras you can't afford. The new unibody shooter has a huge 3.7-inch touchscreen and a brand new interface that looks unlike anything we've ever seen on a camera before. It's gorgeous, it'll take lovely photos, and of course, it's pricey. As a camera maker Leica stands in its own category mostly because its fabulously expensive cameras and lenses are designed for people obsessed with craftsmanship and quality. People who want the old world of cameras. Basically the camera has all the features you'd expect. If you buy this camera, it's because you want an insane luxury product. The body is chiseled out of a single block of aluminum and it feels more like a smartphone than any other camera I've ever held, owing to its beautiful, huge capacitve touchscreen. 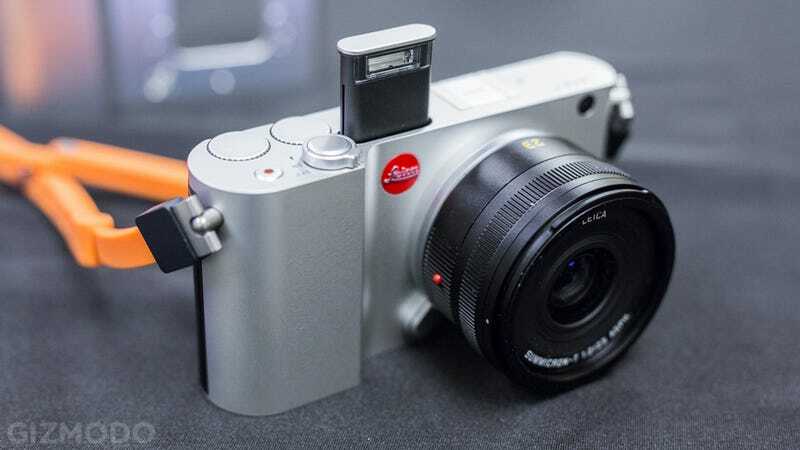 Leica even built an entirely new touch interface that makes the T handle more like a smartphone than any other camera. The T ditches the menu lists that you're used to on other cameras and instead goes for an icon based design. Settings and options look more like apps than items on a drop down list. It's refreshingly simple and intuitive compared to most cameras out there that are swelling with features crammed into impenetrable interfaces.